The Naples Chamber of Commerce needs your help to stuff an entire school bus with toys on Thursday, to donate to Youth Haven and the Shelter for Abused Women and Children. NAPLES, Fla. — The Naples Chamber of Commerce needs your help to stuff an entire school bus with toys on Thursday, to donate to Youth Haven and the Shelter for Abused Women and Children. 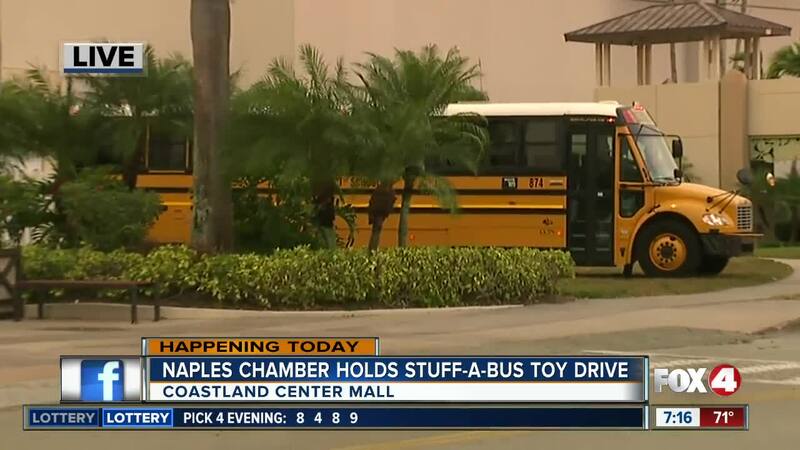 The Stuff-A-Bus toy drive is from 9 a.m. to 7 p.m. just outside the food court at the Coastland Center Mall in Naples. The address is 1900 Tamiami Trail North. The Naples Chamber asks that you donate new or unwrapped toys. For more details, click here .